Keyto's platform measures biomarkers in a user's breath to gauge the state of their metabolism. 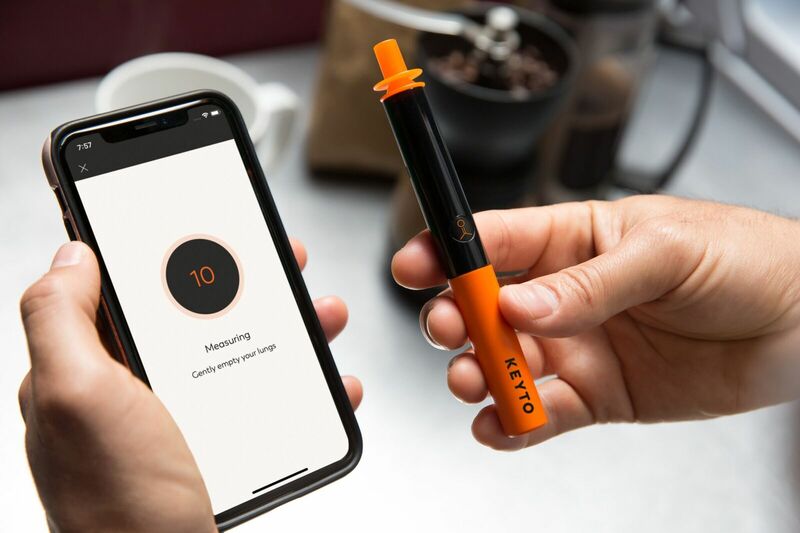 Keyto, a startup building a connected breath sensor and companion app to support users following a ketogenic diet, has raised $2.5 million in seed funding. The round was led by Craft Ventures, and also included additional support from Floodgate Fund, Abstract Ventures and Hydra Ventures alongside Eventbrite cofounders Julia and Kevin Hartz. According to a statement, this investment will be used to increase manufacturing and R&D for the company’s device. Keyto expects its consumer-focused platform to ship in early 2019, and is currently offering the device for pre-sale on Indiegogo at a price of $99.